Pyronix has revealed a new panel, the Enforcer V10, which it says combines all the best features of the Enforcer 32WE and Enforcer HomeControl+ panels. 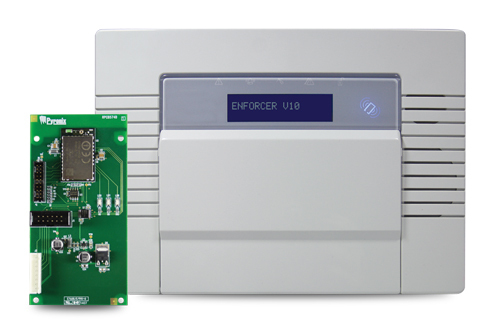 Every Enforcer V10 control panel (software version 10 and above) comes supplied with a DIGI-WIFI module for free as standard. This means installers can utilise PyronixCloud and HomeControl+ connectivity. All other communication options, including PSTN (DIGI-1200) are sold separately. Instead of having to choose from either the Enforcer 32WE or the Enforcer HomeControl+ panels, now installers only need to pick the Enforcer V10. Rather than having to choose the panel based on the communication capability, the new panel can be fitted with any communication option. 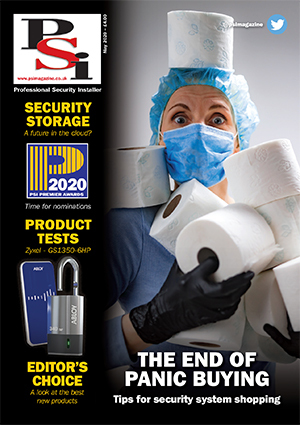 If users change their minds, or the network signalling or internet capability of an area changes, installers can simply switch the Enforcer V10 to another communication method. The unit updates its own programming menu to suit. When combining the Enforcer Voice communicator and the Enforcer V10, voice messages can be sent and received from the control panel to and from a landline or mobile telephone number. This is aimed at users who don’t own smart phones or simply prefer clear and straightforward voice commands over apps or text messaging.